Smart Poly™ Weather Emoji 17"x22" - What's the weather like? Check off the weather & temperature. 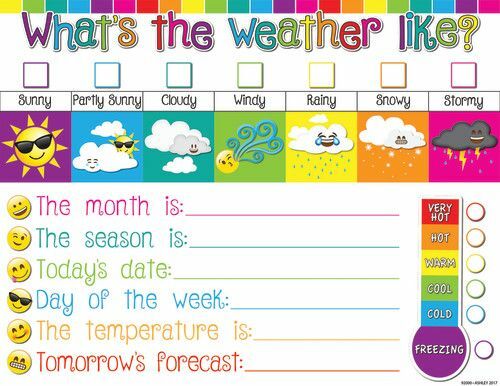 Write out the month, season, today's date, day of the week, temperature & tomorrow's forecast!